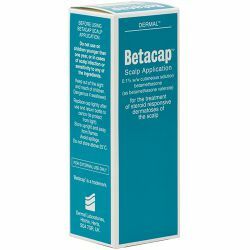 Betacap Scalp is a topical treatment used to help with Psoriasis and Seborrhoeic Dermatitis. Available online from UK based Oxford Online Pharmacy, with a free GP consultation included. 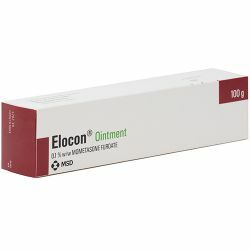 Betacap is a strong, fast-acting topical corticosteroid used to treat inflammation caused by skin conditions. Betacap contains the active ingredient Betamethasone Valerate. When Betacap is applied to the scalp, inflammation is reduced. Betacap (Betamethasone) Scalp Application 0.1% 100ml should be kept out of reach and sight of children. It is for external use only. Protect from light. Return the bottle to the carton between uses. Do not store above 25 degrees celcius. When using Betacap (Betamethasone) Scalp Application 0.1% 100ml you should follow the instructions given to you by your doctor. Read the patient information leaflet before use. Betacap (Betamethasone) Scalp Application 0.1% 100ml is to be applied twice a day, morning and evening to dry hair, until there is an improvement in your scalp condition. Unscrew cap, holding the nozzle against the part of the scalp to be treated gently squeeze the bottle and cover the affected area with a thin layer of the preparation. Gently massage into the scalp. Allow to dry naturally, your scalp will feel cool until the liquid has dried. Wash your hands. Avoid contact with the eyes, if this occurs wash immediately with cool water. This product is highly flammable. Do not use it near flames or all sources of ignition including smoking. Do not dry hair with a hairdryer. The active ingredient in Betacap (Betamethasone) Scalp Application 0.1% 100ml is betamethasone (as betamethasone valerate) 0.1% w/w. The other ingredients are macrogol 7 glycerol cocoate, isopropyl alcohol, carbomer, sodium hydroxide and purified water. Please read the patient information before using this product. 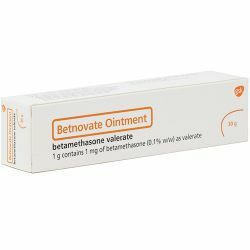 Betacap (Betamethasone) Scalp Application 0.1% 100ml should not be used if you are allergic to any of the ingredients, have a skin infection, on children under 1 year old or for any problem other then the one it has been prescribed for. You should not use this product if you are pregnant or breastfeeding unless the doctor has said to. Like all medicines Betacap (Betamethasone) Scalp Application 0.1% 100ml can cause side effects, althougth not everybody gets them. In rare cases skin irritation may occur or blisters filled with pus, if this happens stop using the product and contact your doctor. If you experience side effects not listed in the patient information leaflet, contact your doctor or pharmacist. Stop using Betacap (Betamethasone) Scalp Application 0.1% 100ml if you show signs of an allergic reaction and contact your doctor.